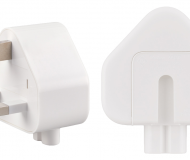 Every year, Apple updates their lineup of iOS devices with a major new firmware version. 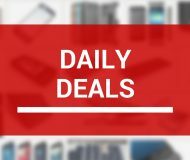 This year at WWDC 2016, Apple announced iOS 10, and it not only includes an array of new features for users to take advantage of, but it also comes with some subtle UI changes that will be easy to spot in day-to-day use as well. Of course, when Apple adds new features to iOS, sometimes those features aren’t 100% original. Sometimes, they’ve existed in the jailbreak community for a long time in one form or another. 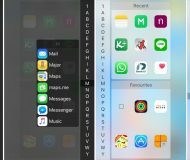 In this roundup, we’ll go over 10 features in iOS 10 that appear to be derived from jailbreak tweaks and have already existed for those who have been pwning their devices to get around what Apple doesn’t want you to have. 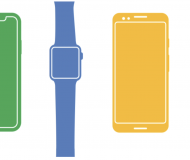 Not all of these are going to be apples to Apple comparisons, because ideas vary from one designer to the next, but it would seem that there are obvious similarities in may of the features we’re about to share with you. Please keep an open mind. 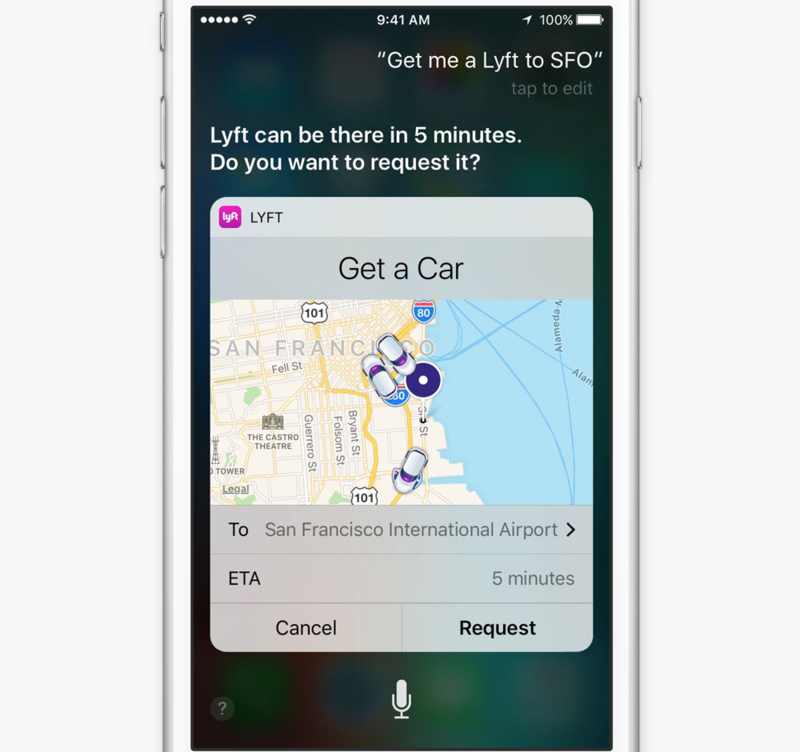 Siri is now open to developers to play with in iOS 10 thanks to a new API known as SiriKit. 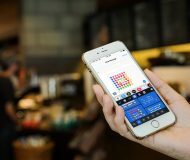 With it, App Store app developers have some, albeit limited, access to allowing the virtual voice-based assistant to perform actions related to third-party apps. 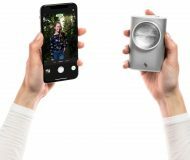 I want to point out that there have been no perfect solutions for this in the jailbreak community, but I felt it was worth noting that developers in the jailbreak community have built platforms and libraries that other developers have been able to use in the past to give Siri more capabilities. 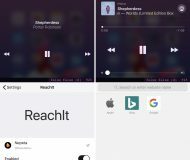 One such example was AssistantExtensions, which was a library other jailbreak developers were able to use to provide Siri with the resources to answer new kinds of questions and queries that she was never able to before. Apple’s involvement in this department means giving legitimate App Store developers the ability to integrate their apps, so it differs a little bit from how the jailbreak community used to make Siri smarter by giving her new query-answering abilities. Nevertheless, it seems like Apple got the point that we’re over here in our own little community trying to make Siri a little more ‘open’ so she can do more than what Apple is willing to let her do. iOS 10 now allows iPhone users to wake up their device from a sleep simply by picking it up off of the table. 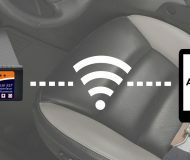 This kind of technique means that it’s no longer required to press a button to wake your device up. 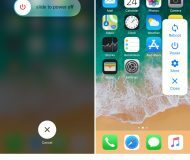 This is a feature that stock iPhone users have wanted forever, and already Android has a similar feature called Doze, which keeps the device asleep until you actually pick it up, but the jailbreak community also answered this request with a jailbreak tweak of its own, called FaceOff. With this tweak, you could configure your device to go to sleep when you put it down and wake up when you pick it up, and it’s no doubt that Apple’s new iOS 10 feature is very similar in functionality to FaceOff, a tweak that jailbreakers have had access to for years. 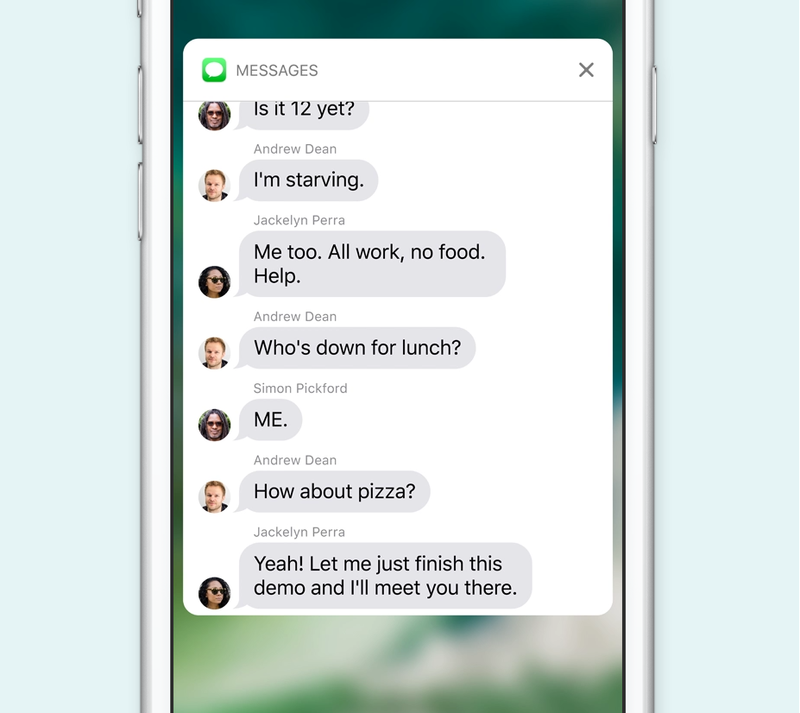 The all-new Messages app features are among some of the most anticipated changes in Apple’s upcoming iOS 10 operating system, and iMessage has been given a slew of new features tailored specifically for iOS users. One of those that seems to stand out the most is the ability to use Stickers in iMessage, which is something that we’ve been given the ability to do in Facebook Messenger for years. For whatever reason, Apple took a white to implement these into the stock iMessage experience, probably because they were busy adding those all-new Emojis to iOS 9, but the jailbreak community once again already had an answer to this disgrace. 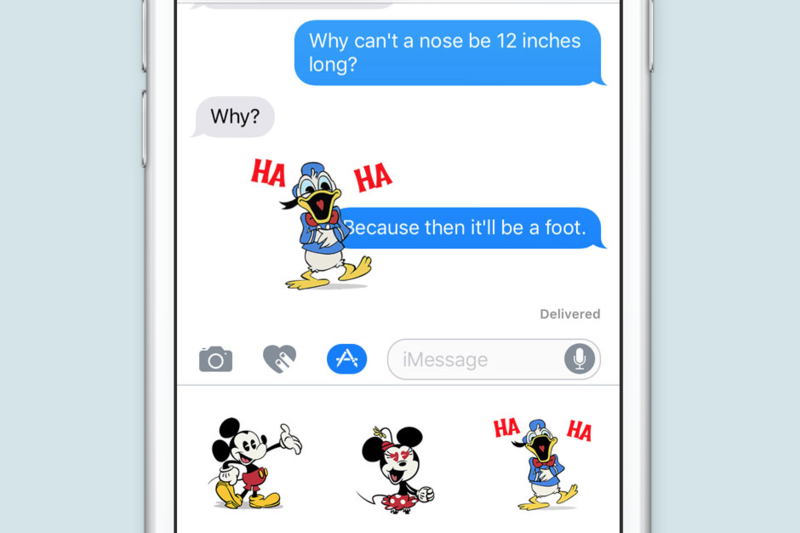 Using a jailbreak tweak called StickerMe, jailbreakers were able to send Facebook Messenger stickers right through iMessage to the recipient, and the recipient didn’t even need to be jailbroken to receive them. 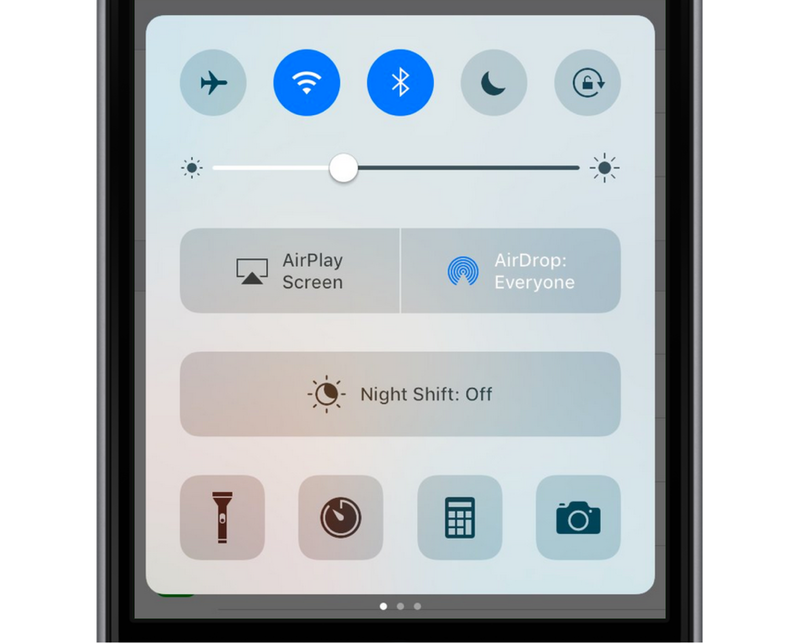 iOS 10 appears to bring a new dynamic to Control Center. 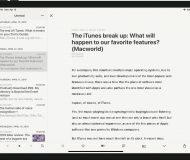 Rather than having just one page with everything crammed into one interface, Apple seems to have made things a little more modular by providing pages that you can swipe between. The first thing that came to my mind when I saw this was Auxo Legacy Edition, which was more-so an App Switcher tweak than a Control Center tweak, but it still integrated the App Switcher with Control Center and one of the features I remember was being able to swipe between the controls section of Control Center and the music section of Control Center. The implementation looks a little different, but it has the same idea in mind. Overall, it doesn’t integrate the App Switcher into Control Center like Auxo Legacy Edition does, but you still get that page-to-page Control Center feeling in iOS 10 that you did with Auxo Legacy Edition. One of the major features listed on Apple’s website for iOS 10 is Interactive Notifications, which allows you to access much more data from a notification on the Lock screen than you’ve ever been able to in any previous release of iOS. As soon as I saw the look and feel of the interface Apple makes, which seems to use a Messages conversation as an example, it immediately reminded me of 3D Touch Notifications. Although I’m unsure if the Interactive Notifications in iOS 10 actually use 3D Touch for viewing purposes like the jailbreak tweak does, the interface that Apple uses to let you see more of the Messages conversation you’re replying to from the Lock screen looks almost identical to the 3D Touch Notifications tweak interface. Whether or not they function the same way is another question entirely, but the design hints at a largely-borrowed idea that was implemented in the jailbreak community first. iOS 10 is officially letting you use 3D Touch on the Weather app’s icon from the Home screen to see the weather conditions from your specific location. You no longer have to tap on an option from a list and launch the Weather app to see the weather conditions outside. This is an idea that existed already in jailbreak tweak form; the tweak was dubbed Shortcuts, and while we don’t have a review live on iDB about this particular tweak, it did allow those of you with jailbroken devices to 3D Touch on the Weather app icon and see the current weather conditions in your area without having to launch the Weather app outright. Since 3D Touch is very much a young feature that only just came out last year amid a rushed iOS update, it was clear that Apple didn’t have a whole lot of time to refine features for 3D Touch, but with iOS 10, Apple is not only stepping up their game with new 3D Touch functions, but also appears to have borrowed from the jailbreak community in doing so. Overall, Apple’s implementation looks a little nicer, but still, the idea was created far before Apple ever got to it. 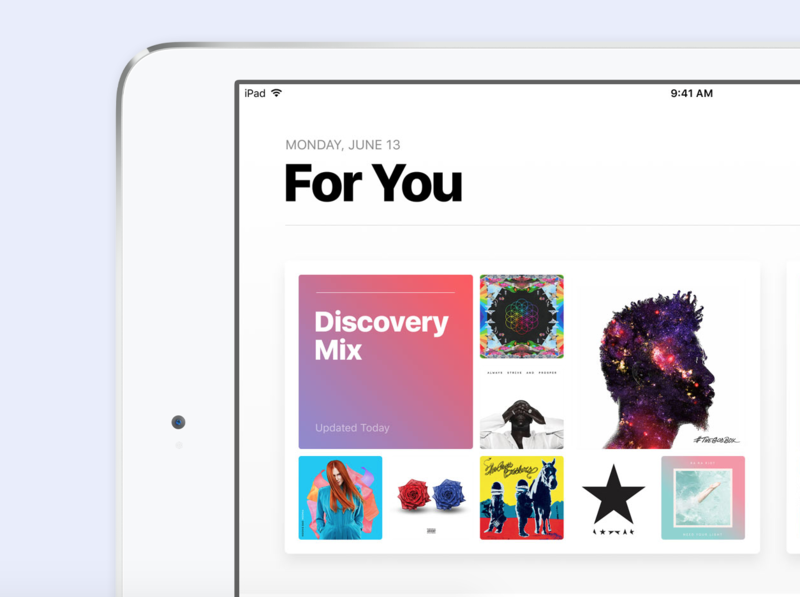 Apple gave Apple Music a new look and feel in iOS 10, giving it a more impressive interface for music discovery and overall aesthetic, but man… it sure is hard to give Apple all the credit because jailbreakers have been modifying the look and feel of Apple Music since iOS 8.4! With a jailbreak tweak called Gauss 2, you could give the Apple Music app on your jailbroken iPhone a complete makeover with new blur effects, text color changes, tinting changes, saturation, and much more. 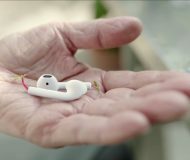 Now I understand that this is more of a low blow, since Apple would have updated the Apple Music interface at some point in the future regardless, but it does go to show that the jailbreak community always seems to be one step ahead of Apple in allowing users to have something that looks and feels different. Another major new feature of iOS 10 that you’ll find in the Messages app that seems to be derived from the jailbreak community is the ability to write your own messages via iMessage, rather than typing them out with a keyboard. The feature allows iMessage users to literally send their own handwriting to another person, rather than typed font, but a jailbreak tweak commonly known as Grafiti allowed jailbreakers to do this for a very long time until the developer eventually stopped supporting the tweak in the latest versions of iOS. Nevertheless, the idea existed years before Apple ever took the time to implement it, and Grafiti not only allowed you to send handwritten text to a person, but fully-drawn doodles. Moreover, you could even send them in a variety of colors. Apple’s implementation in iOS 10 isn’t a joke, however. Apple spent a lot of time to make the animations nice and to make it seamless with the iOS keyboard in the Messages app, so those reading your messages will get to see you writing it in real time, or at least a recorded instance of you writing in real time. Apple has long littered the Home screen’s limited space with tons of apps that you may or may not use, and when it comes to those apps that you know you’re never going to want, such as Tips, you’ve probably always wished you could just deleted them, only to find that you needed to push them off into a folder somewhere on your Home screen just to hide it. 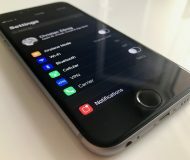 The jailbreak community has solved this problem for a very long time, by providing jailbreak tweaks that allow you to hide apps from the Home screen for years, such as Springtomize. 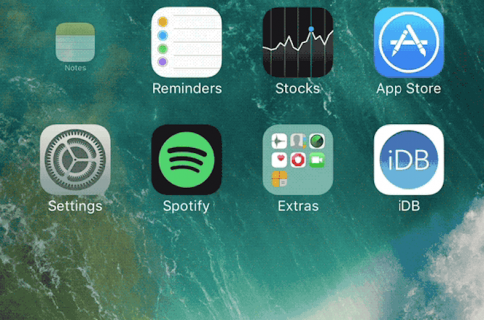 Although the solution hasn’t been to outright delete the apps, it did provide a way to hide the app icons without just putting them into a folder on your Home screen that you’re still going to have to look at on a daily basis. 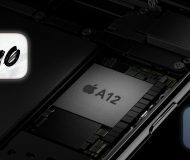 Apple’s new solution, however, is much cleaner, as it lets you remove certain pre-installed apps that you know you’ll never use and actually saves storage on your device. 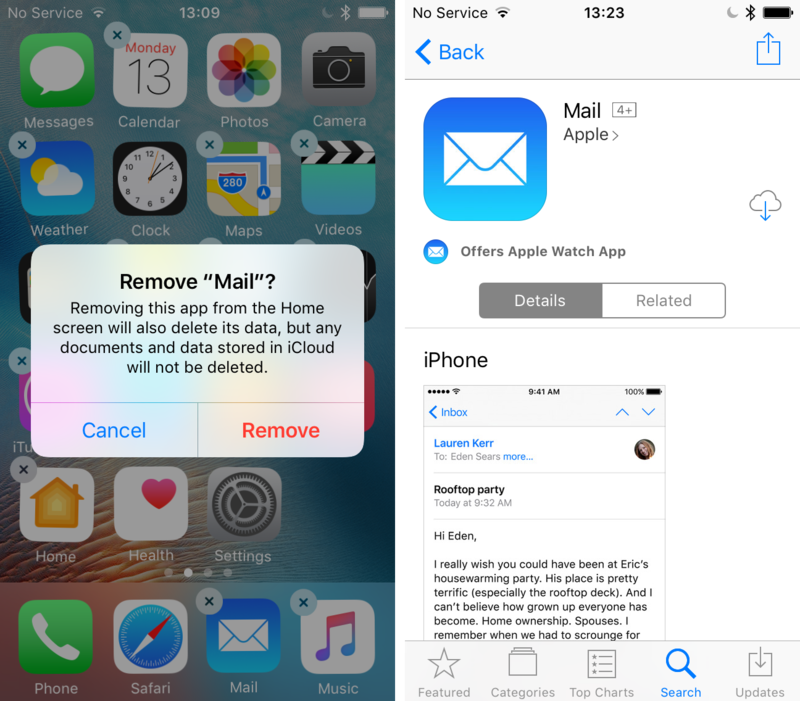 If at any time you wanted to put them back, you’d have to reinstall those apps you deleted from the App Store. This is a big one, and it has set iOS apart from Android and various other platforms for years. Apple is finally introducing the ability to have widgets on your iPhone’s Lock screen and they’re accessed by swiping from left to right on your Lock screen. Even though this is a feature that other platforms have had for years, that’s not to say that the jailbreak community hasn’t attempted to make the feature available for those with pwned devices in the past. Actually, they’ve been doing it for years, and there have been a slew of jailbreak tweaks for it, but by far one of the most popular was IntelliScreenX. 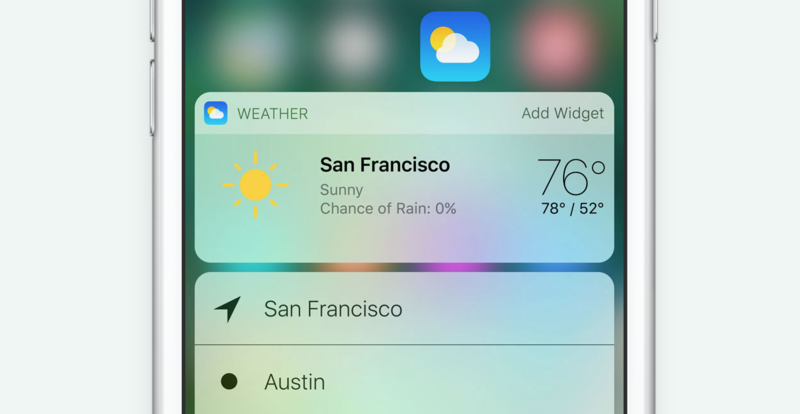 Although the focus of IntelliScreenX was very different, and Apple appears to be taking widgets into an entirely different direction with one for Maps, Stocks, and Weather, IntelliScreenX allowed you to have a wide variety of information available right on your Lock screen (as well as Notification Center). Apple’s widget platform may or may not take off, however as it would seem from their attempt to push Notification Center widgets, Apple’s restrictive rules on what you can and cannot do for App Store apps seems to be hindering a lot of productive releases that users may actually enjoy using and I don’t see it being any different for the Lock screen, which is a possible place for potential security hazards. 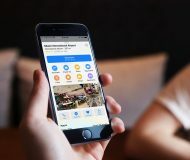 Jailbreaking has long been a fun way to get more and more out of your device, but as Apple adds more and more of these incredible features, it seems to make jailbreaking more of a novelty. 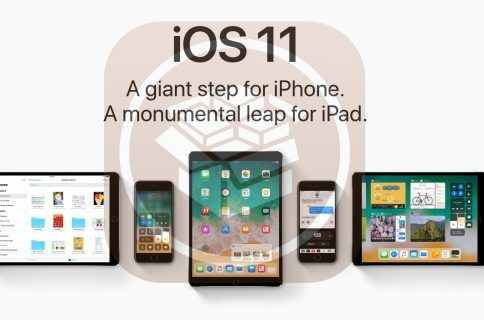 Of course, there are still plenty of things you can do with a jailbroken device that you can’t do with a stock one, the fact that we haven’t yet seen a jailbreak for most of Apple’s latest iOS releases shows that the jailbreak community is almost certainly slowing down as Apple continues to personally fill the voids that jailbreakers have complained about for years. I’d also like to give a shout out to two iOS jailbreak tweak developers, Evan Coleman and Raviraj for providing some important screenshots from their personal beta devices that helped make this post possible. Did we miss something? Share what else iOS 10 has borrowed from the jailbreak community in the comments below! Poll: will you upgrade to iOS 10 or keep your jailbreak?